I am a girl who LOVES the sunshine. Summer is my absolute favourite time of year and nothing beats the feeling of the warm sun on your face. 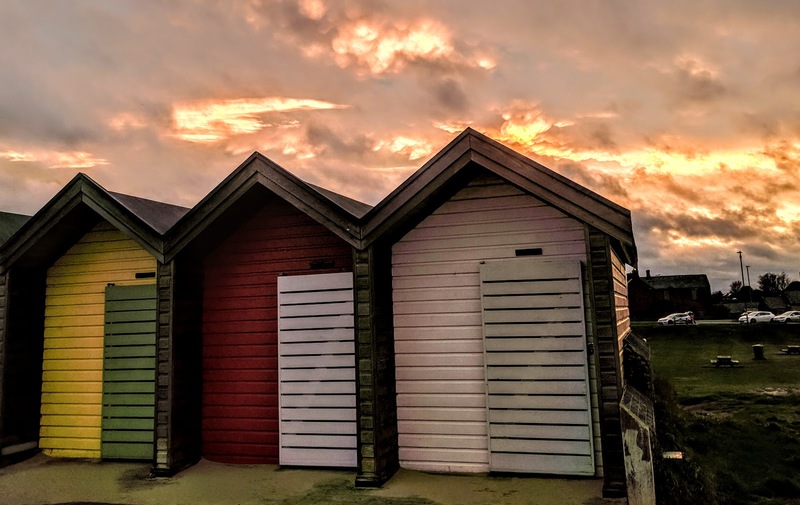 Sunny days do mean jam-packed beaches though and we've often struggled to grab a parking spot at our local beach (Blyth) on busy days. 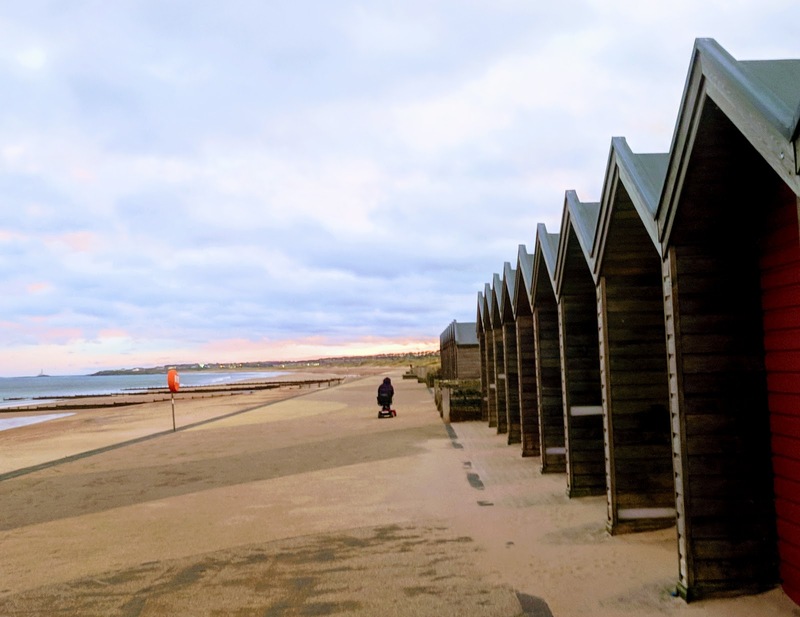 Last weekend, we had a craving for fish and chips so popped along to Blyth Beach at around 5pm on a Saturday night. Although still fairly busy, it was easy enough to grab a parking spot and table in the refurbished restaurant. 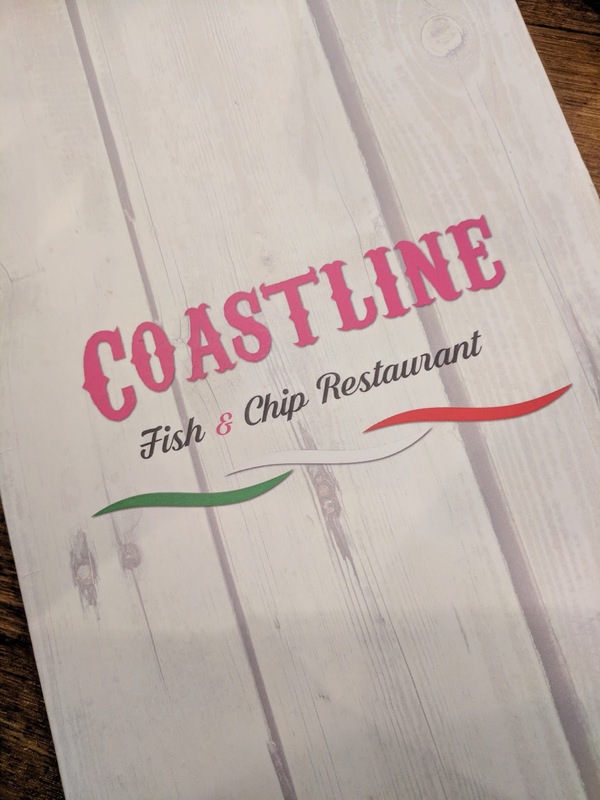 Coastline is open until 7:30pm on a Saturday night and we found a trip to be an affordable weekend treat and much more fun than a Saturday night takeaway. 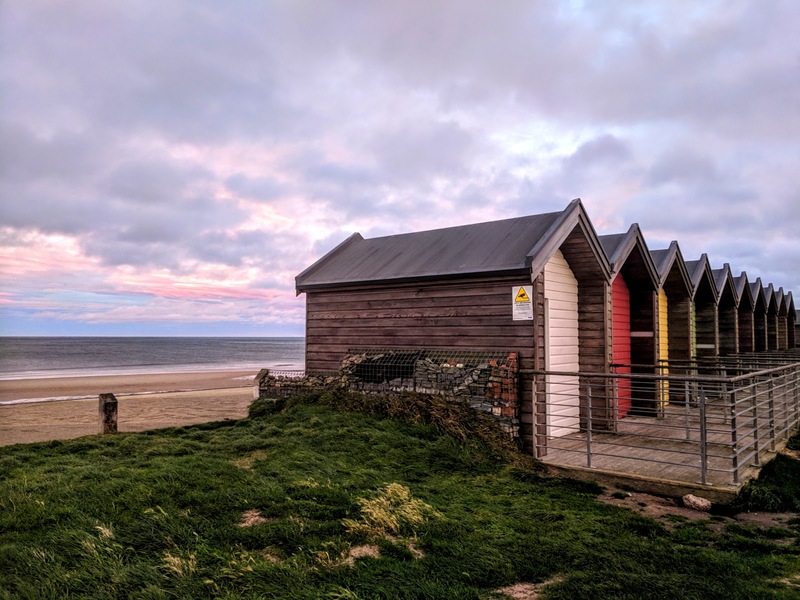 Our little trip has really convinced us to make the most of our beaches when the weather is colder and they're a little quieter. I love the booth-style seating in Coastline. You just grab a table and then order and pay at the tills in the middle of the restaurant. 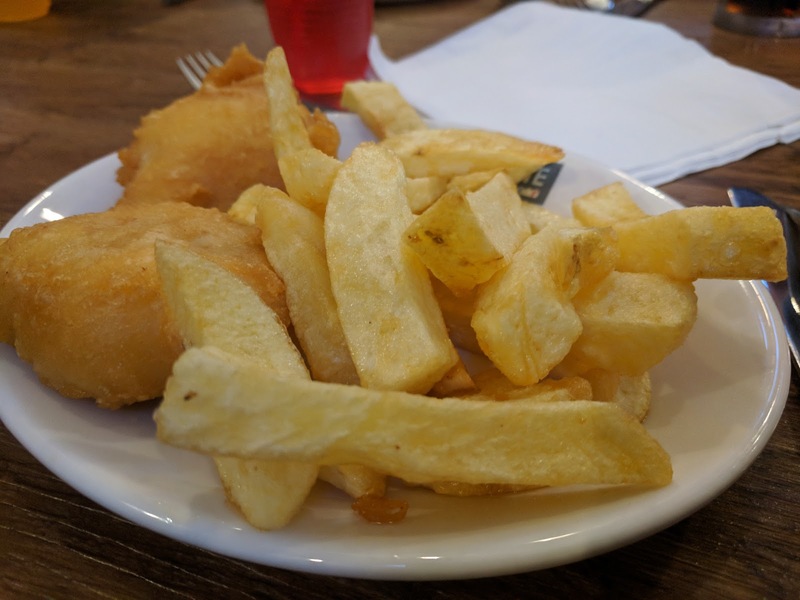 The menu is extensive with lots of chippy favourites alongside other fish and pizzas. There's an ice cream parlour on-site too if you fancy something sweet. 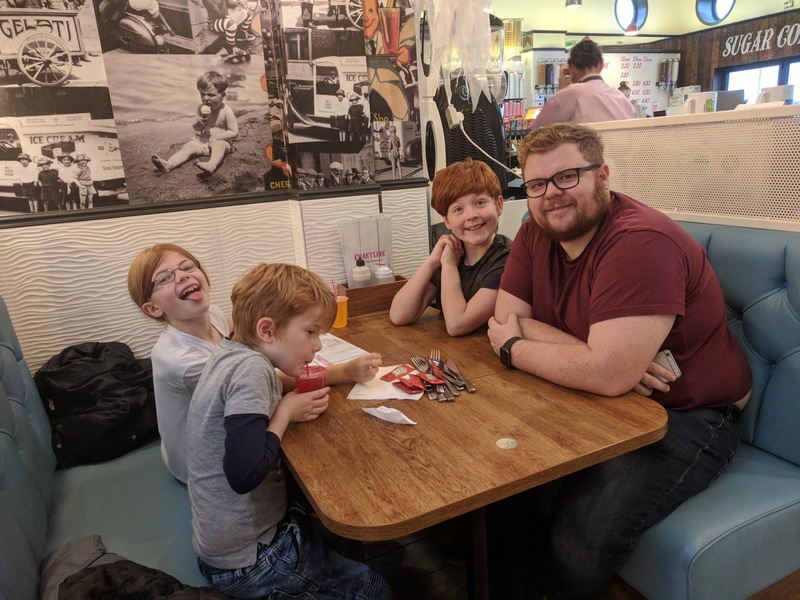 Service was very quick and friendly and a meal and drinks for the 5 of us set us back exactly £30. Not bad at all. 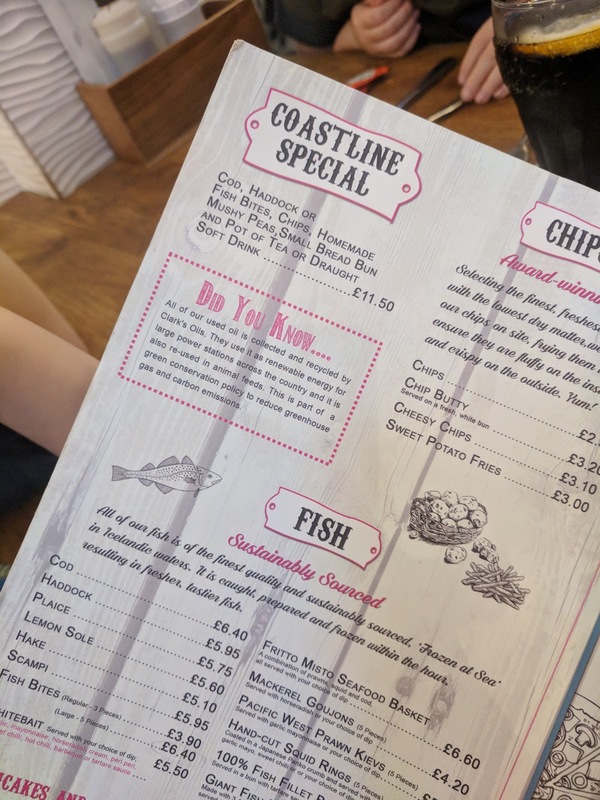 Steve went for the coastline special - cod, chips, mushy peas, bread and butter and a drink £11.50. He really enjoyed his meal and I had to help him finish his chips as he was struggling a bit. 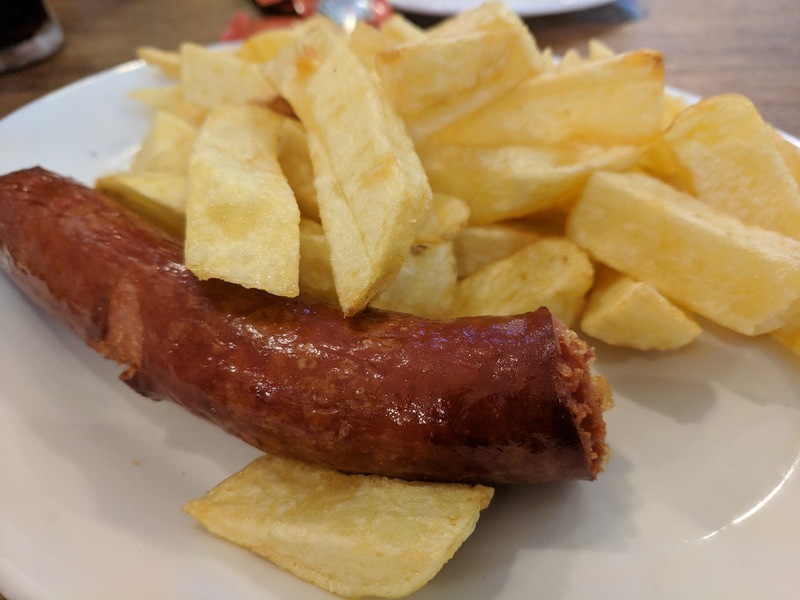 I had been craving a proper smoked sausage as it's one of my proper comfort foods. 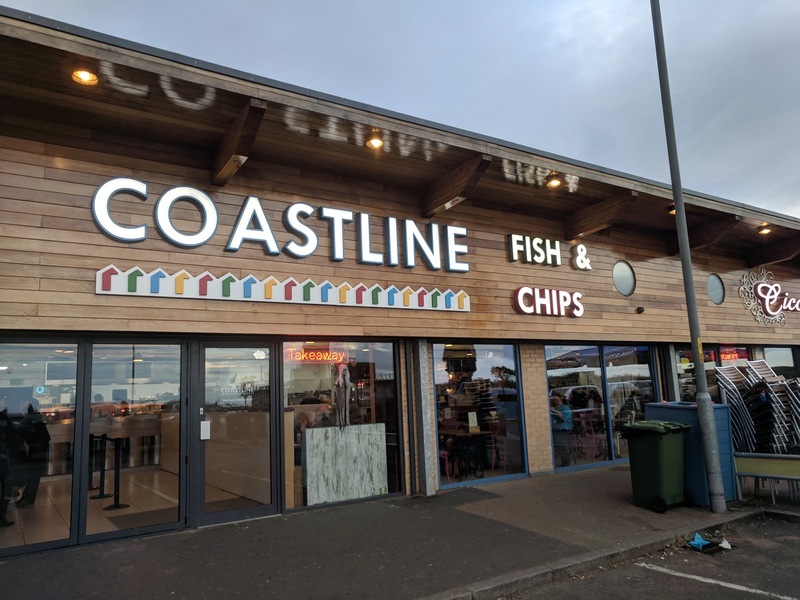 The ones from Coastline are fried (yeah) rather than microwaved and taste exactly how I remember when we used to eat Fish and Chips on a Friday as a child. 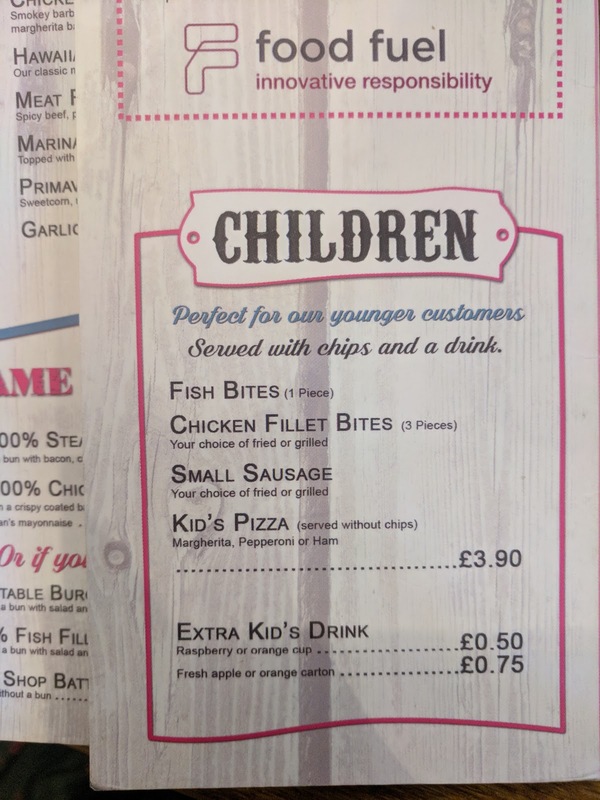 Kids meals are priced at £3.90 including a drink. 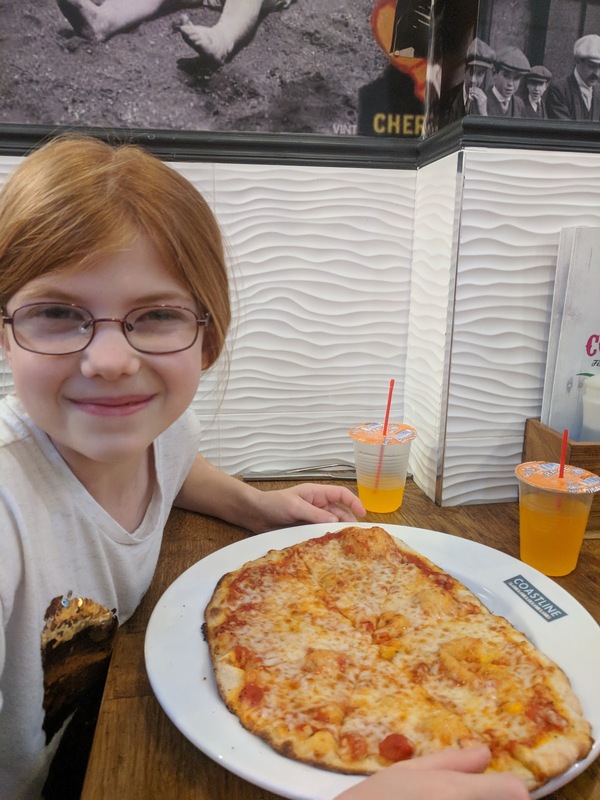 This also includes a pretty big pizza which Heidi couldn't manage. The portions were fine for Jack and Heidi but next time I'm going to order Harry an adult's meal I think. We sent the kids across the road to play in the park as we ordered a coffee to enjoy in peace. The sun was just starting to set as we'd finished and we took a stroll along the prom. It was pretty quiet and such a beautiful evening. 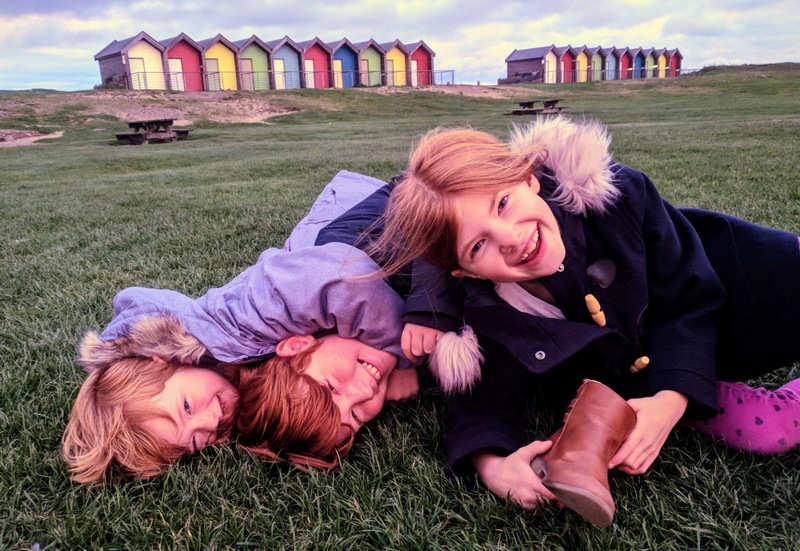 I asked the kids if I could take a photograph of them in front of the beach huts. It didn't exactly go to plain but you can see how happy they are. 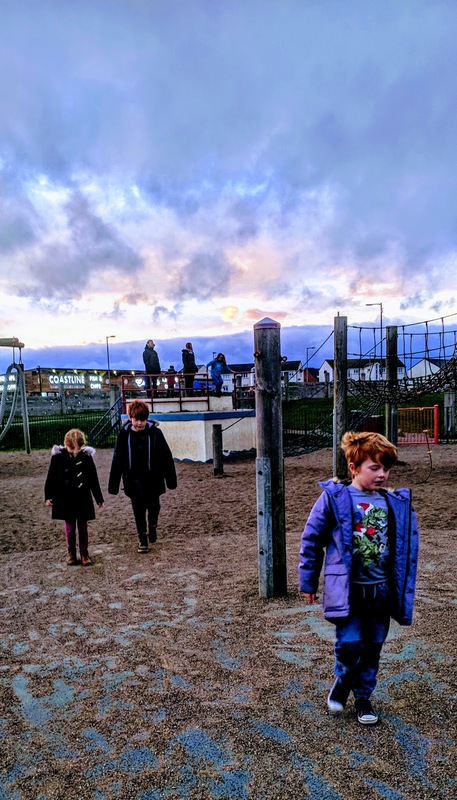 There was time for one last play in the park before darkness actually hit. 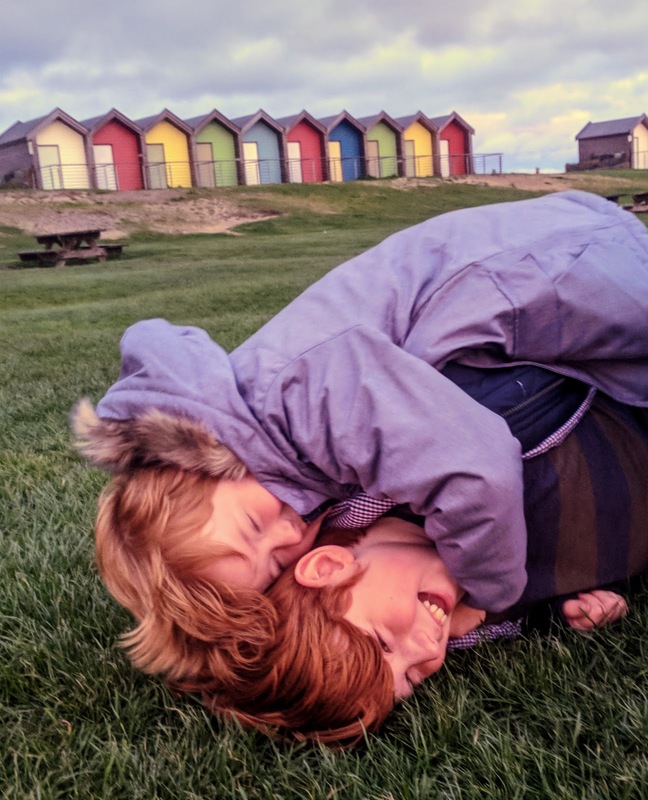 As long as you wrap the kids up in their winter coats, they'll love getting some fresh air as the sun sets. 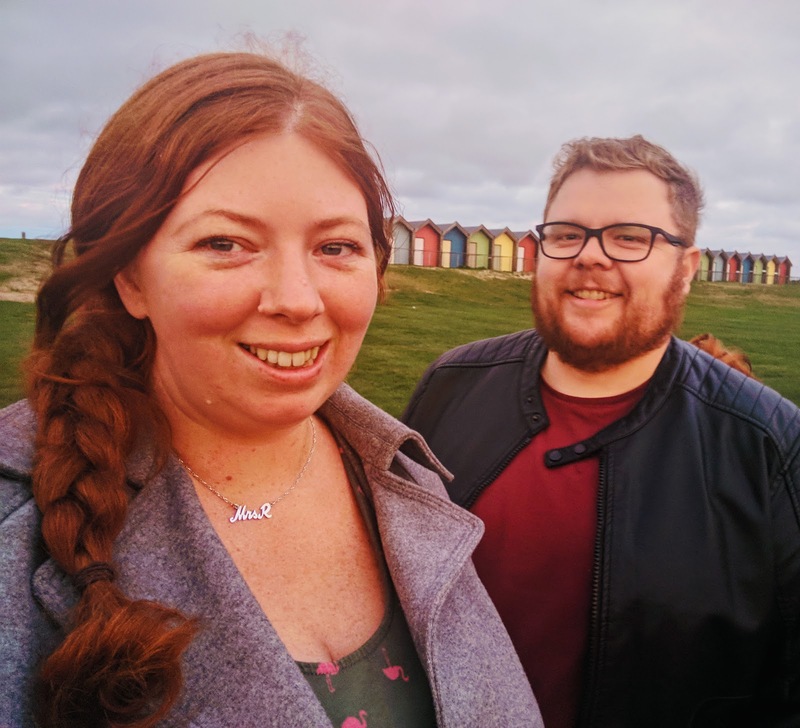 We had a really lovely evening at Blyth Beach and I have a feeling we'll make this treat a monthly Saturday night out. It was an inexpensive way to spend some quality time together and I'd highly recommend a trip with your family this winter. Yum those chips look so chunky! I LOVE the seaside at Winter, especially on a sunny day. Nothing beats wrapping up warm and going for a nice stroll before warming up with some lovely food, just need to convince hubby now, he doesn't seem to get why it's a good idea! Love the photos in this post. 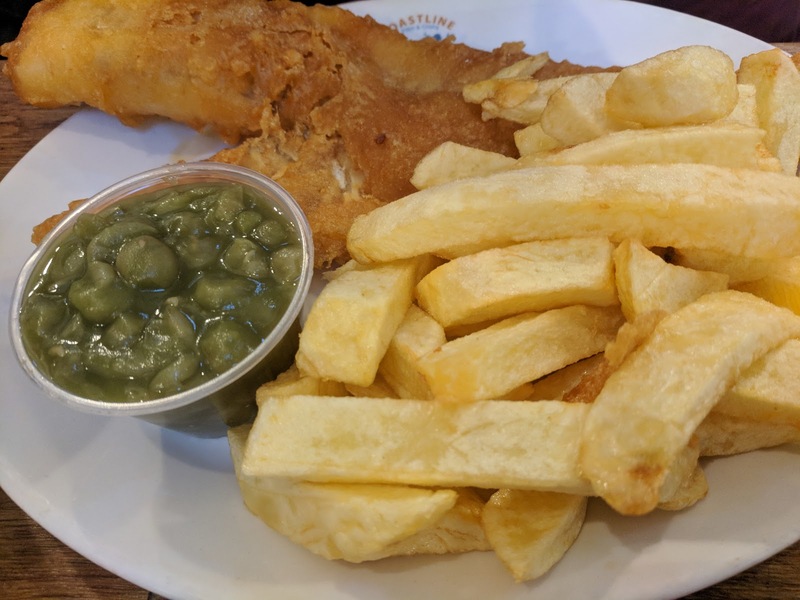 You can't beat chips and a visit to the beach in the cold!